All H2OtoGro® hydroponic systems are manufactured using 100% Food Grade, "Blackout" style, customized reservoirs and lids. 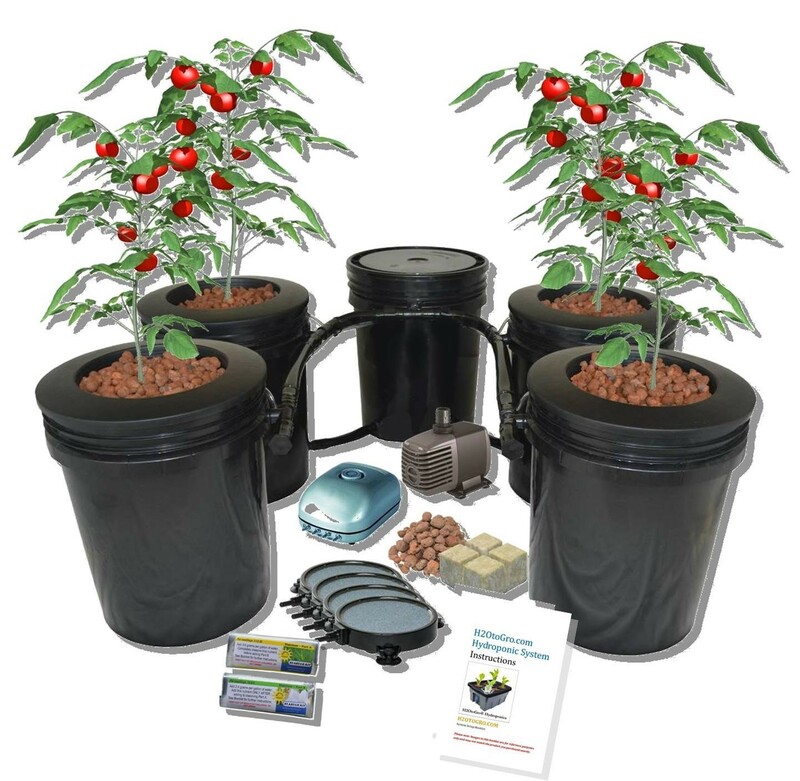 All H2OtoGro® Complete Hydro Kits include STARTER PACKS that include enough clay pellets, rockwool squares, and nutrients to start your first set of plants! This Kit Includes: Five (5) Customized "blackout" style buckets (5-gal) with water level indicators (blue), (4) 6" net lids and (1) standard bucket lid, (1) 15L 4 port air pump, (4) 4" Round air stones, 1/4" air line, (1) 400 gph submersible water pump, 3/4" recirculating water lines, STARTER PACK of clay pellets, rockwool squares, and nutrients.